Without any prompting, children intuitively develop a powerful impulse to draw. Beginning with their first scribbles, drawing is an activity that encompasses children’s expanding knowledge, changing perceptions and new experiences of themselves and their environment. It is a visual language that evolves as the child grows, and one in which feelings, ideas and emotions can all appear. As children draw they develop motor skills, a positive sense of identity, and faculties of problem-solving and critical thinking. And their drawings offer parents a window to see how children perceive themselves and the world around them. 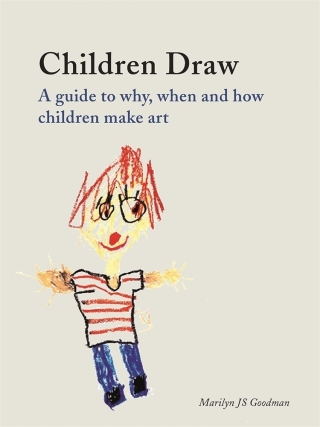 Children Draw is a concise, richly illustrated book, aimed at parents and carers, that explores why children draw and the meaning and value of drawing for youngsters – from toddlers aged two to pre-adolescents aged twelve. Informed by psychology and practical teaching with children, it guides readers through the progressive stages and characteristics of drawing development as children grow and change mentally, physically, socially, emotionally and creatively. It offers parents tips about encouraging children to express their ideas visually, age-appropriate art materials, workspaces, and different media as well as suggestions for making an art museum visit more meaningful – not to mention more fun – for both parents and kids. Packed with many delightful examples of children’s art, Children Draw is an essential book for parents interested in their child’s art activities. Marilyn JS Goodman is an art and museum education specialist who has served as Director of Education for the Solomon R. Guggenheim Museum, Director of the Children’s Museum of Cincinnati, and Director of K-12 Art for the Worcester Public Schools. She has co-authored two books for children including Learning Through Art (1999) and Arteducarte: arte ecuatoriano para niños (2006).